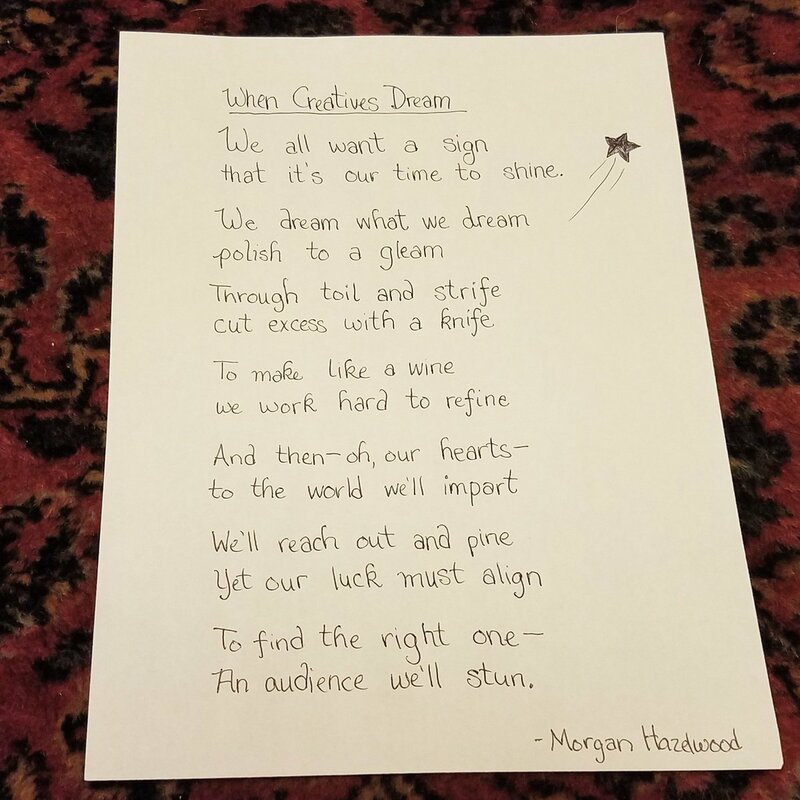 My last few days of the challenge, I fell into my own sort of couplet structure, following the suggested themes. My penultimate one feels extra-appropriate for election day. Have you been participating? Share a link to some/all of your poems. Do you have a favorite? Let me know which style connects with you! 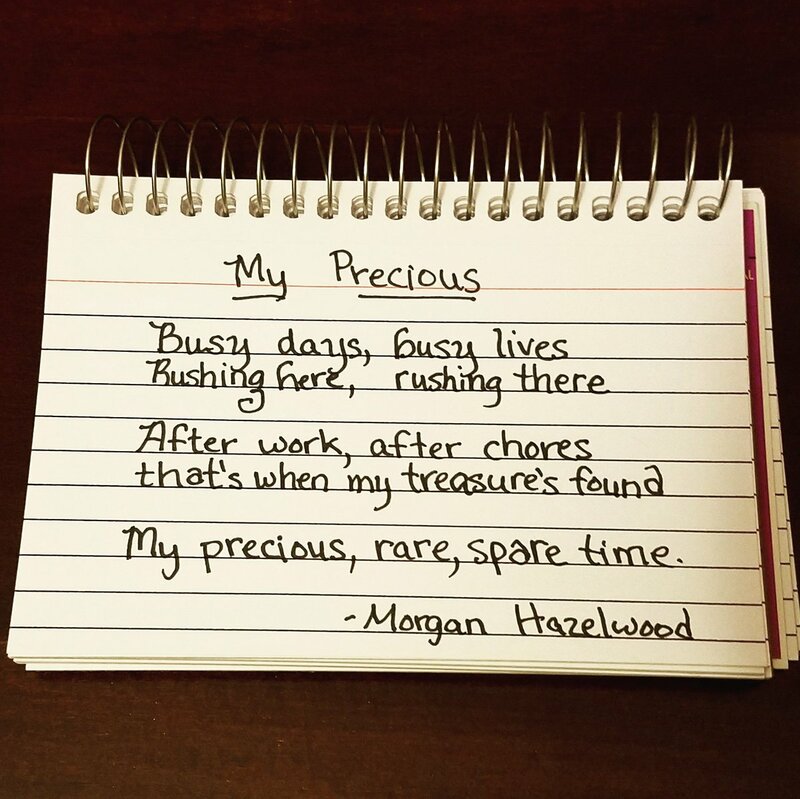 For day 29 of #OctPoWriMo, after a 12 hour day at work, I got hit by a theme near-and-dear to my heart. On the penultimate day of #OctPoWriMo, the theme was ‘Jolt’. I hope you’re inspired by this one, to get out and vote. help when you can, dodge when you can’t. Once you look up, what do you see? Things need changing, you’re their best shot. Dive right in for, it must be done. With a blink, today’s gone. Did I spend it all wrong? There’s a slice left for me. And that’s when I’ll just breathe. I continued experimenting with styles, mostly following the suggested themes. 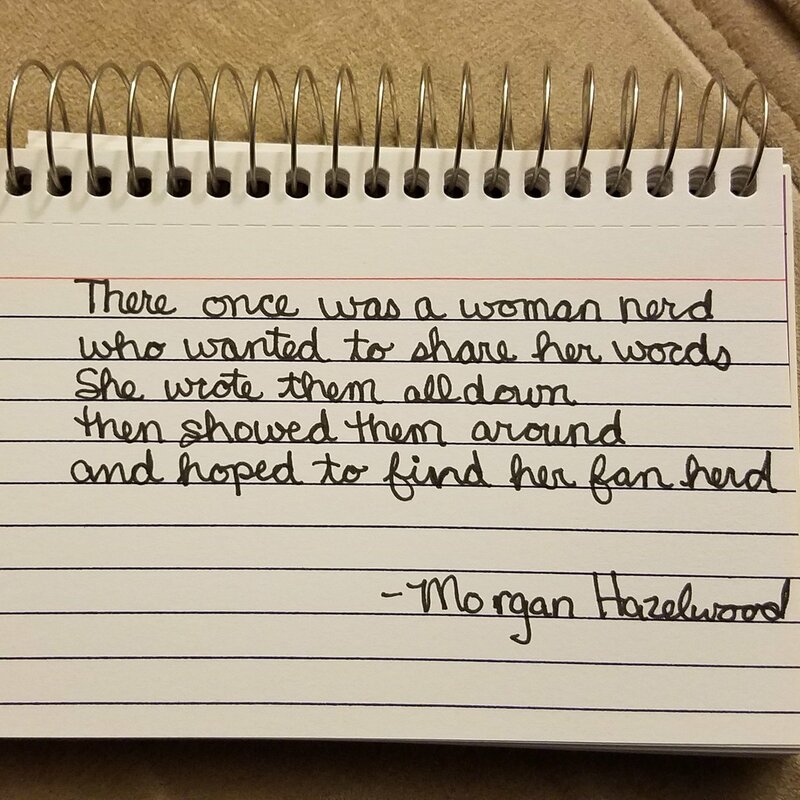 For day 21 of #OctPoWriMo, here’s another cinquain. Of beasts, lore, and magic. 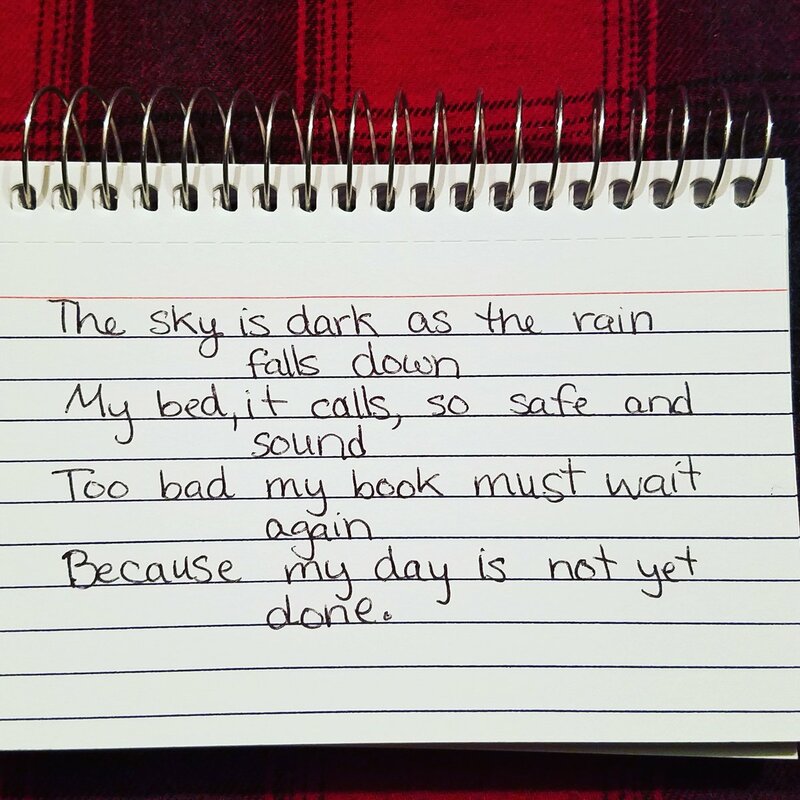 Following the theme for #OctPoWriMo day #22. Day 23’s theme was “muddy”. Here’s my poem. turn to ink from blood. and you’ll be living in the clear. For day 25 of #OctPoWriMo, I presented a limerick, for the theme ‘prickly’. When life gets rough, many of us have a tendency to cave and avoid others. With any luck, we have good friends. Are you really getting old? Just stretch yourself and be bold. then we can be our best selves. In honor of the last week of October, here’s a Flashback Friday Post. I clicked off my doc to see what was the matter. Scrolled over the adverts and closed up the cache. When what to my wondering eyes should egress? But a miniature list and eight friend requests! I’d know in a moment that this one would stick. “Now Chapters, now Setting! Now Plot and Conflict! “To the top of the peak! To the climax and fall! The tapping and clacking, each word I’ll record. Soon’ll give me to know I had nothing to dread. And after a click on the save key, I’ll bask. Happy NaNo to all. Put up the good fight. This time, I was all over the place, style-wise and thematically. I followed many more of the suggested themes and followed it where it would lead me. Day 14’s theme was “clock”. I think my earlier poem summed up my feels on time, but here’s another take. til they reach what they seek. We’ve worked together all along. Day #16’s theme was angular. This one goes out to all my friends who are in the Query Trenches… And is properly sung to sort of the tune of Be Our Guest from Beauty and the Beast. Got some new thing you could try? Find an agent or some mentors. Is Trad really what you want? So you’ll pitch until you die. that all writers want to have. and please make yourself at home. Day 17 was mellow and melancholy. but only when the time is right. Yet one cannot a bridge uncross. For day 18, the topic just kind of made this a little darker than I normally go for it… But I know people who struggle. ❤ Best wishes for those of you fighting the good fight. Genius or liquor or pills. The stresses you’ve hidden within. Days 19 and 20 ended up on the same piece of paper, despite there very different themes and tones. I was amused by the juxtaposition of the directions these two poems went. The first is clearly from the point of view of my inner dragon while the second is more my more standard outlook. burning cities in my wake. smoke will flume and leave just ash. I hope you can find a piece to enjoy. My precious, rare, spare time. “Hope, like a river, ebbs and flows. can somehow shrink it all away. 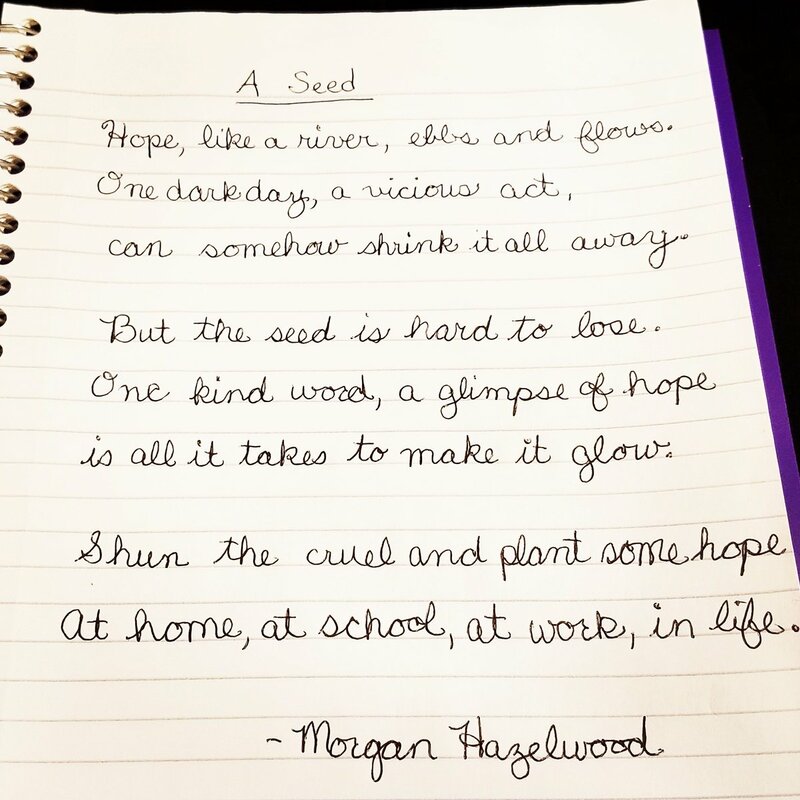 But the seed is hard to lose. is all it takes to make it grow. “The sky is dark as the rain falls down. My bed it calls, so safe and sound.